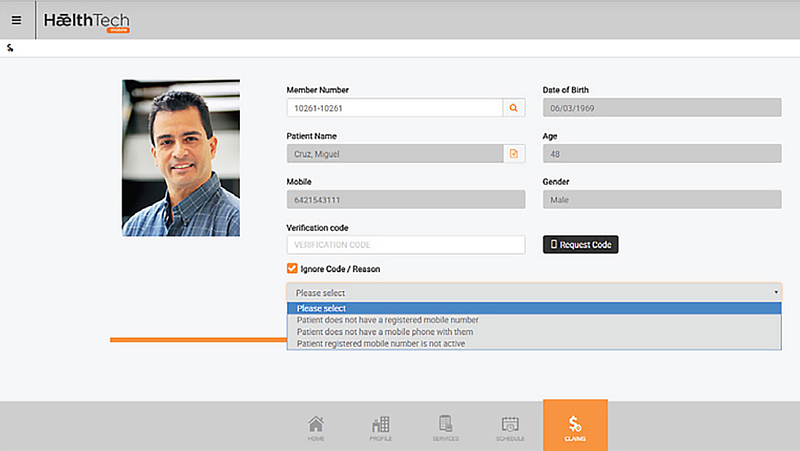 Omni allows complex products with base/rider product relationships to be defined by users literally in minutes. Products are defined for a particular underwriter and defined set of benefits. 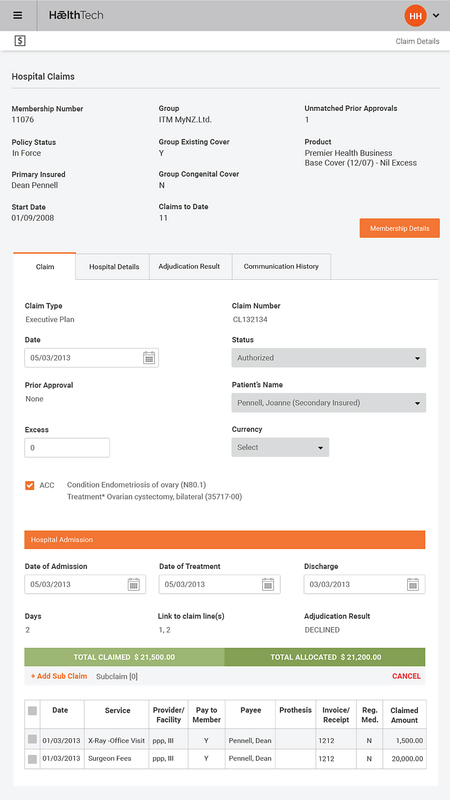 Benefits have associated rules that drive the automated claims adjudication process and overall policy management process. 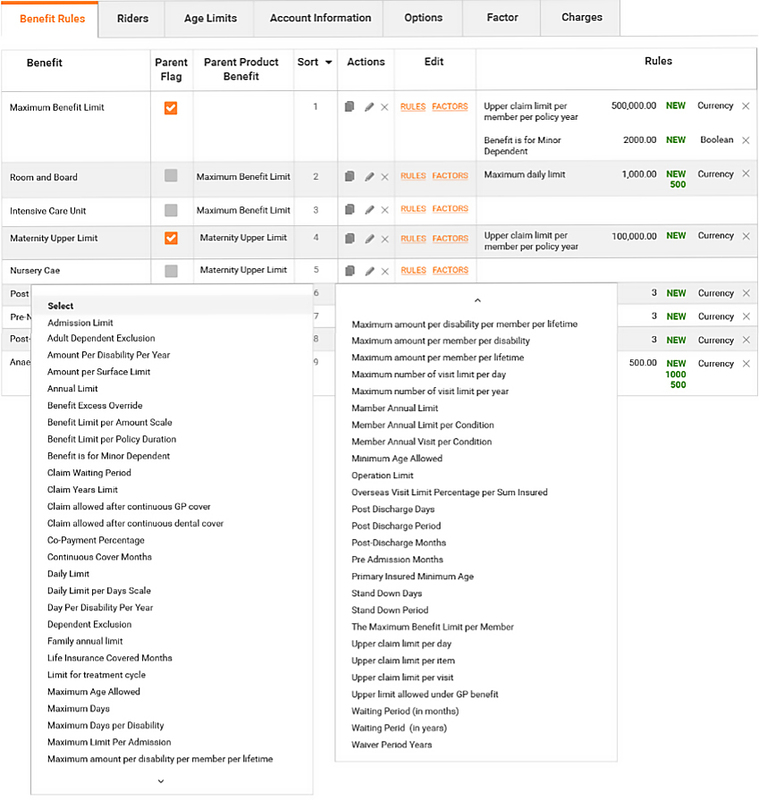 Associated with each product or product option is a Rate Card that controls the premium calculation using premium factors such as date of birth or salary, or tabular rate concepts. 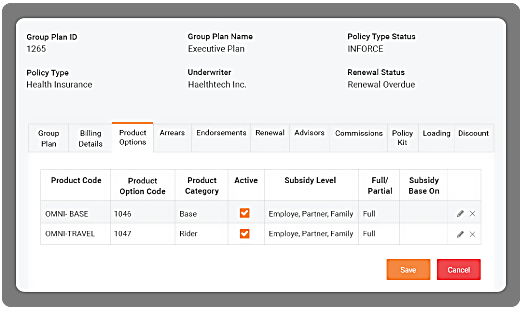 Omni Group and Group plan model allows either single or bundles of a base/rider products from diferent underwriters can be offered to a Group. 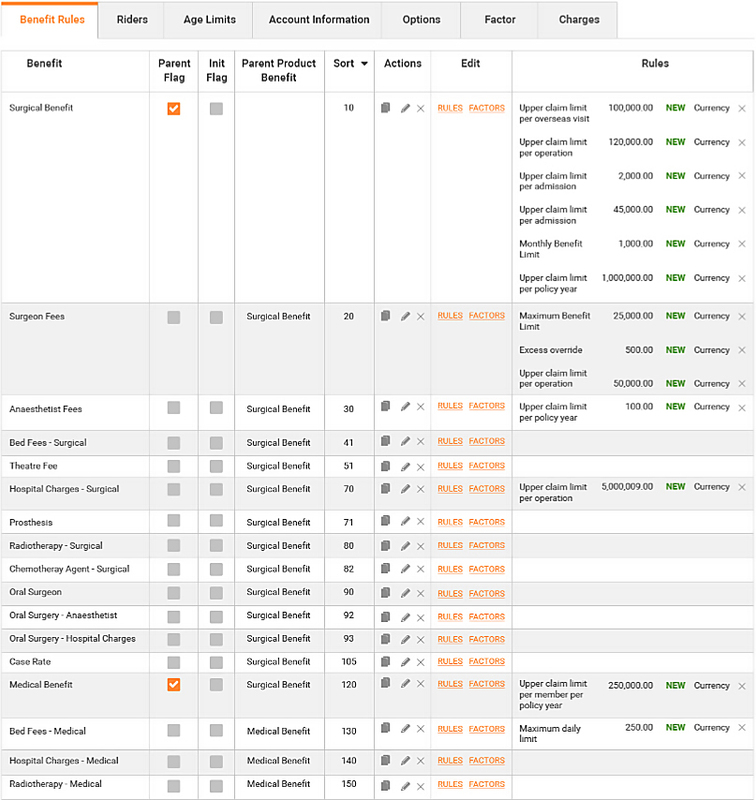 Different products are placed in Group plans and offered to members of the Group. 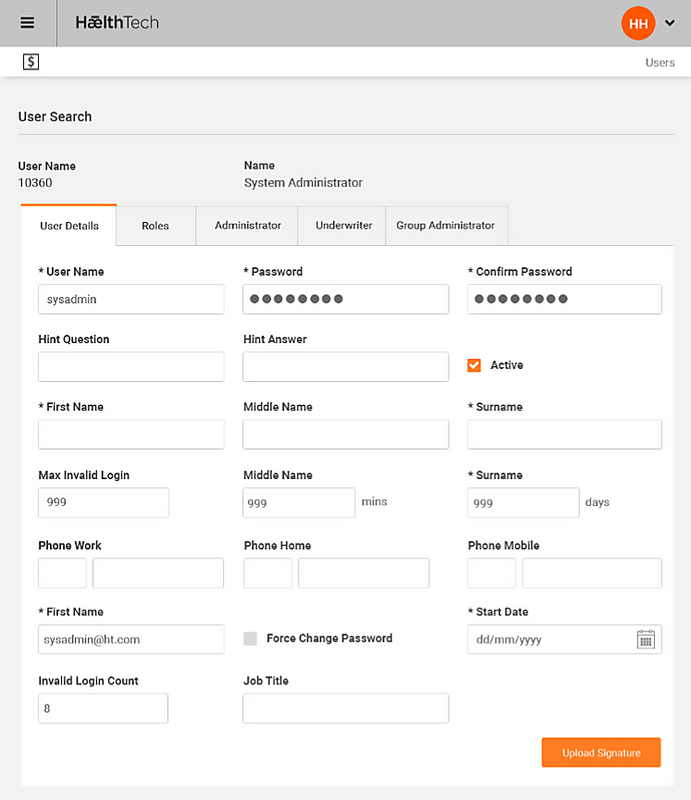 Omni contains a flexible structure allowing the breakdown of a group into plans, and further into the internal divisions (or business units) of the Group to assist in the billing and cash match of premium received from the Group or member, primarily by payroll deduction or direct debit agreements. 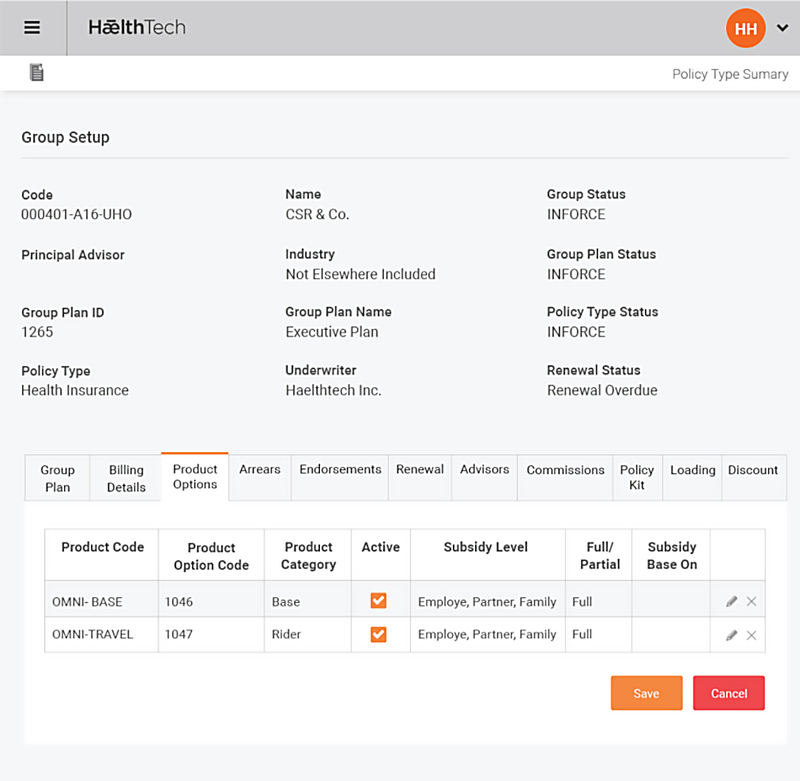 During Group plan establishment, all member details may be loaded into Omni using a standard Policy Upload interface to automatically create all policies and calculate the initial installment and annualised premium per policy. 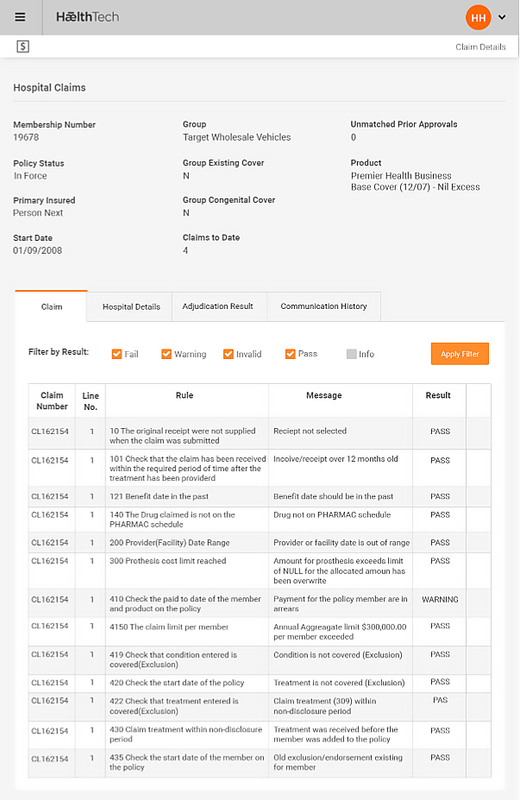 Once the Group and plans are in force, Omni allows the administrator to use a number of screens to update member and policy information online with a detailed audit being maintained. 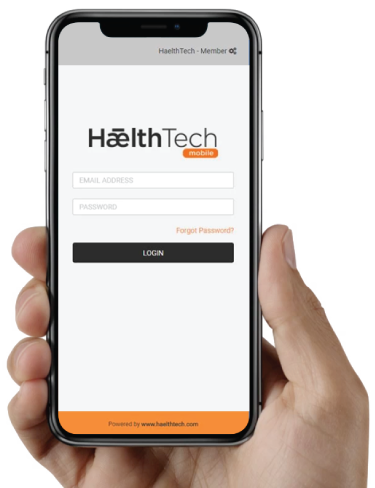 Policy maintenance includes simple updates like address and contact information, through to more complex options like updating the member’s billing and receipt details, or banking details for claim payments and direct debit receipts. 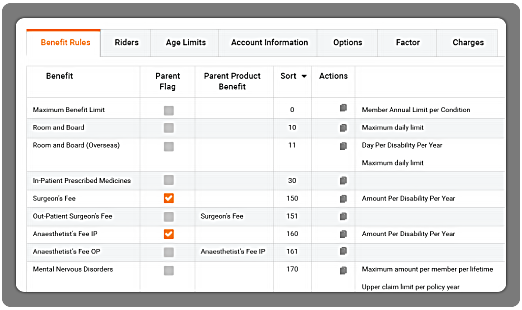 Many updates can affect the premium, such as adding or removing members, changing the product option, or changing factors that directly affect the premium calculation such as date of birth, salary or smoker status. All updates that affect premium can be backdated. 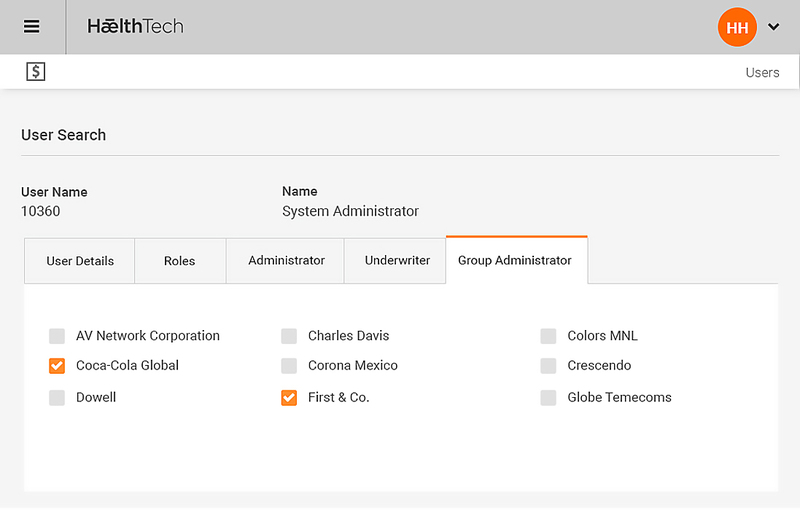 The Omni system supports multiple underwriters, and for different products to be de ned per underwriter. Various controls and information can be provided to each underwriter within tight data security that is limited to only that underwriter. 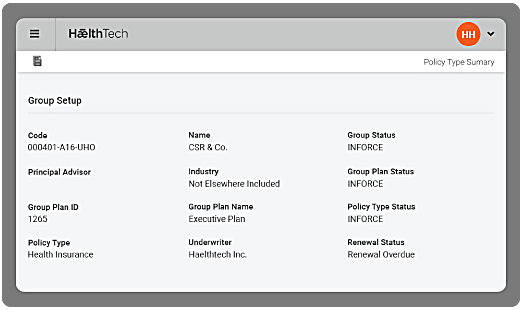 A set of parallel accounting is generated online within Omni for both the administrator and each underwriter using the underwriter’s own general ledger account codes. 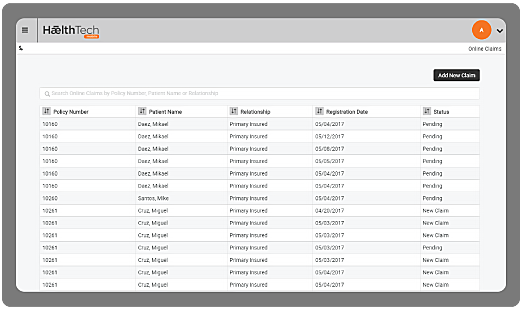 Various accounting and other extracts or reports may be requested by the underwriter logging onto Omni over the internet via a secure layer. Omni allows online access to information such as claims monitoring, and the ability for the underwriter to make certain pre-agreed authorisations, such as payment of claims. 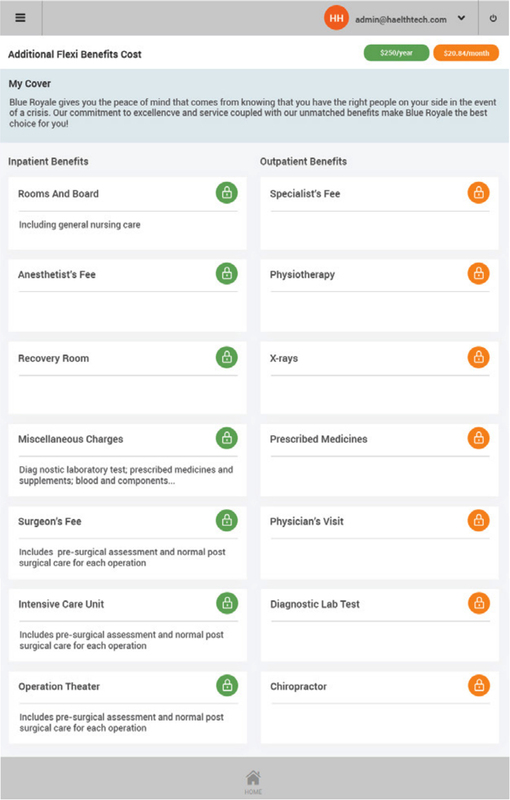 Claims and Prior Approvals are managed within Omni for hospital and primary care claims. A claim can automatically be generated from an authorised Prior Approval. 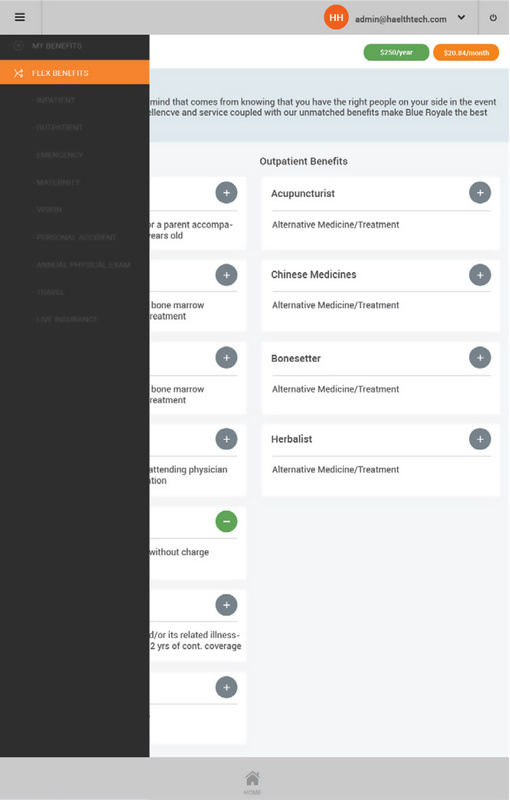 Multiple claims can be linked together so that grouping of treatments can be made even though a number of claims are submitted over a period of time. Each claim and Prior Approval must step through an adjudication process where the Omni system performs a series of checks using a rules based engine. 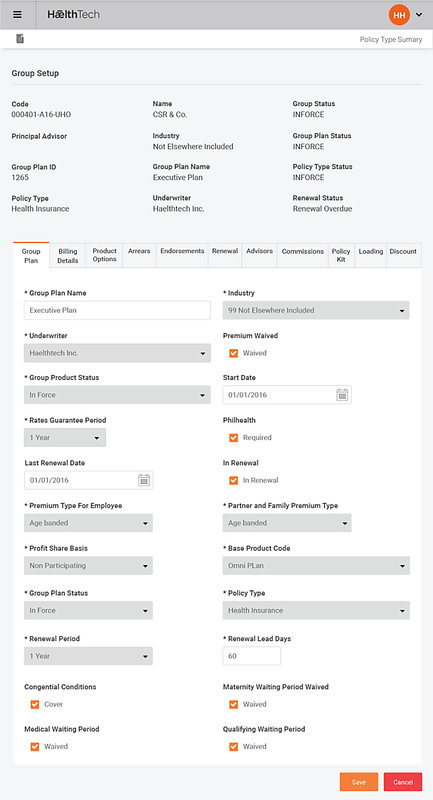 For each member in a Group and product (excess) option Omni calculates the total premium, tax, installments and risk portion based on member demographics using a list of Rate Cards for products and underwriters. 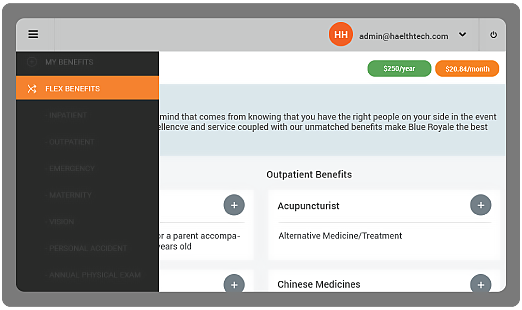 Omni supplies a powerful billing tool with flexibility to cover various premium rates, billing frequencies from weekly up to annual billing. 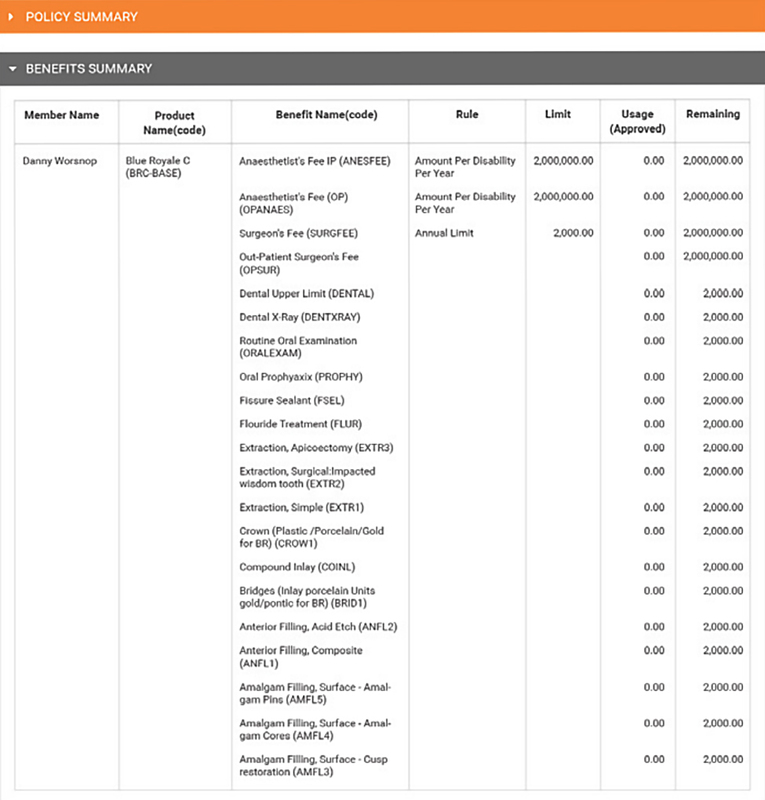 After the billing has been run to raise premiums, direct debits can automatically be created, or in the case of direct credits or cheque payments, these may be entered and then matched automatically against the premium raised through either matching against the installments premium for the policy or a manual match at member product level. The Omni Benefit Plus module offers employees the choice of benefits they want or need from a package of benefit programs offered by an employer – either fully or partially subsidized, or as optional benefits that are offered to employees that will be self-funded. 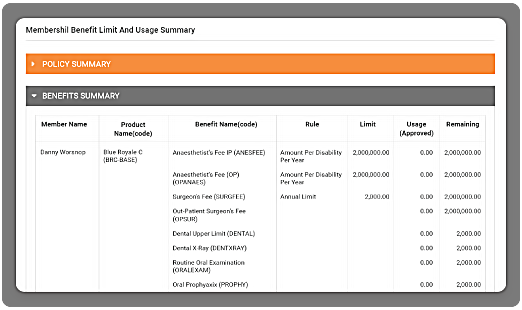 The Omni Benefit Plus module allows flexible benefit plan employees to contribute all or part of the cost of these benefits through a payroll deduction of their gross income, reducing the employer's contribution. 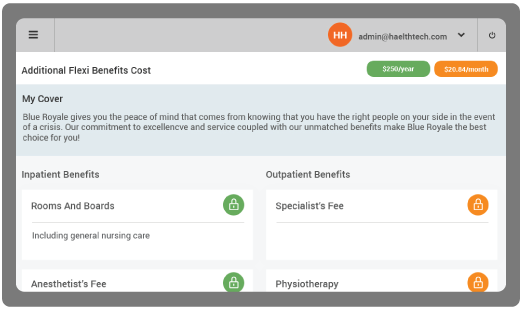 The Omni Benefit Plus platform provides extensive support for self-administration of flexible benefits through a member portal where members can select and manage both health and non-health options that are provided. The types of benefits that can be supported are configured in the Omni product and benefit configurator and therefore allows for the creation of a wide variety of flex products. 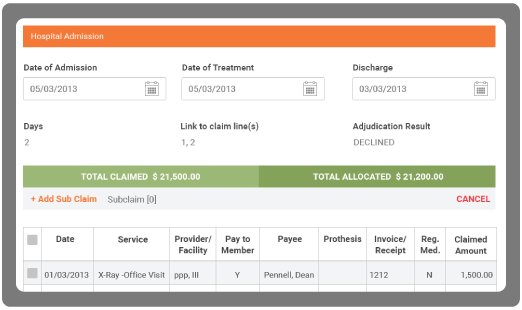 The Omni Benefit Plus system allows members to enter claims for reimbursement. Once entered, the claim is passed to Omni administration staff to be processed under the strict rules and adjudication controls supported. These adjudication rules can be configured to your requirements. 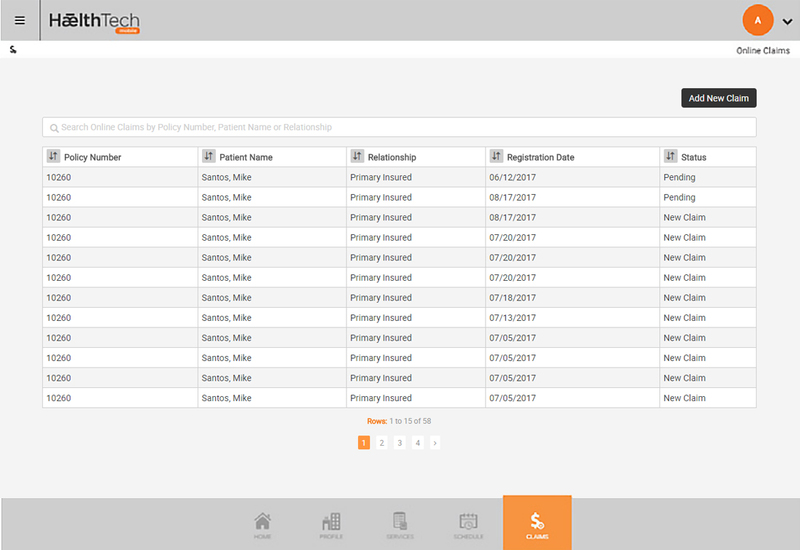 Members can view claim progress as well as product cover options prior to claim entry. 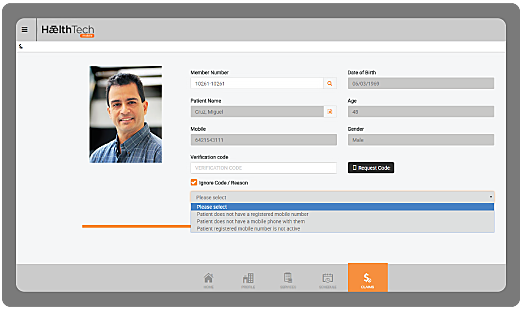 This allows members to see rapid completion of the claims and payment process. 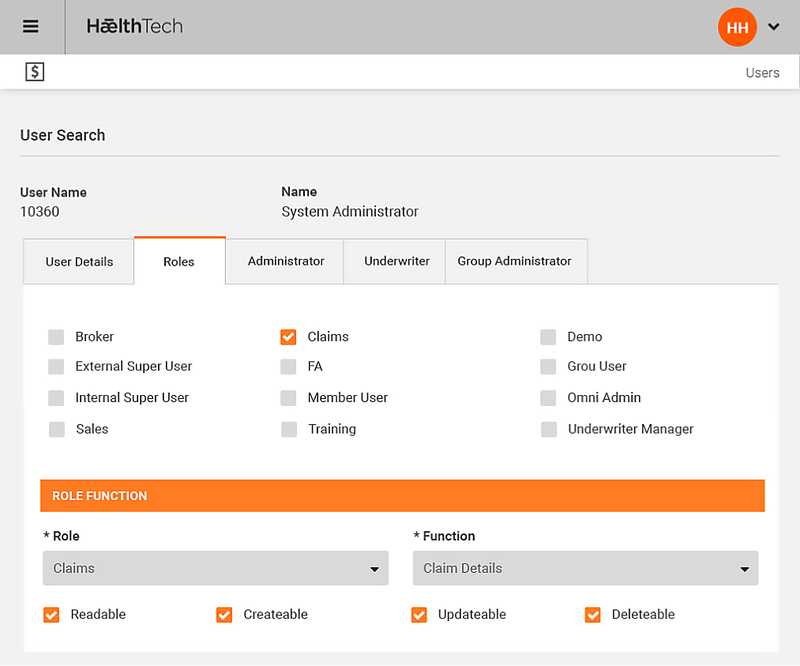 This is achieved by allowing the direct input of a large volume of claims into the system by members, and real-time analysis of claims, fraud detection and controls under the claim adjudication engine rules, and loss ratio management control. The coupling of the Omni Benefit Plus front end to the Omni administration engine is a unique construct allowing overall, superior risk management.